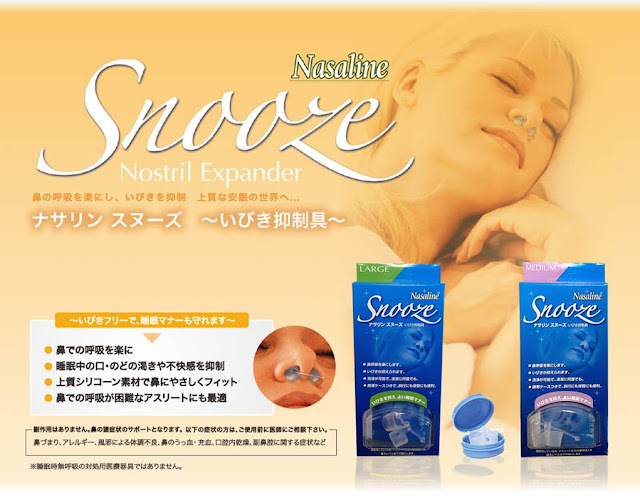 Snooze Expanders are used to enhance breathing, improve sleep & reduce snoring - naturally. Snooze also provides relief from symptoms associated with allergies and colds. ► Made of soft medical grade silicone. Latex free. 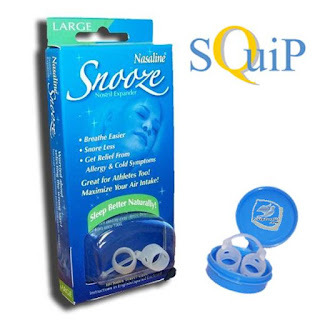 Snooze was designed by a team of Swedish ear, nose and throat specialists, and has been used by sleep clinics, hospitals, and athletes since 1998. Snooze can also be used to improve physical activity such as weight lifting, jogging, and yoga exercises by improving air intake. 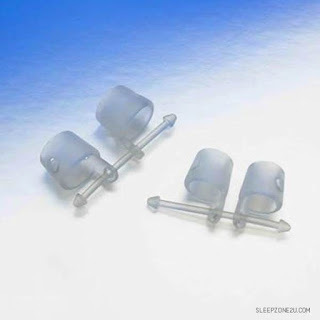 Snooze consists of two nostril expanders & a connector-cord made of high quality medical-grade silicone. 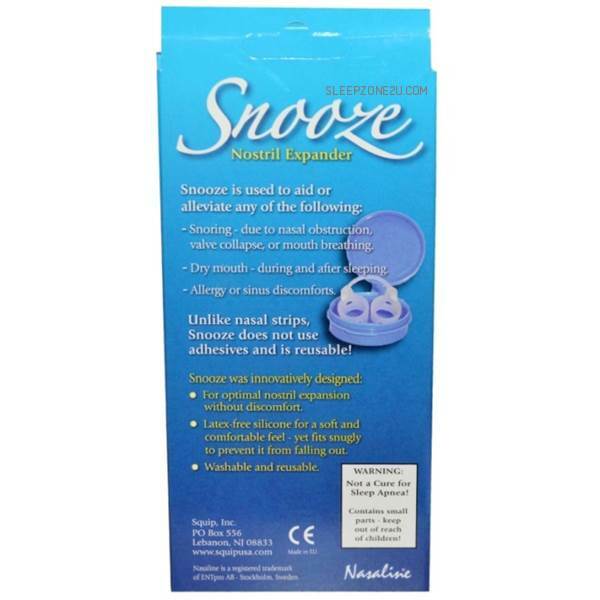 Snooze is completely latex-free as it was specifically designed for direct contact with the skin. Comes in MEDIUM or LARGE - please see size chart below. 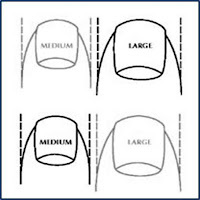 Simply match your thumb print size to the appropriate size. Please download and print this PDF file and match your thumb to the imprints in it to determine your size. 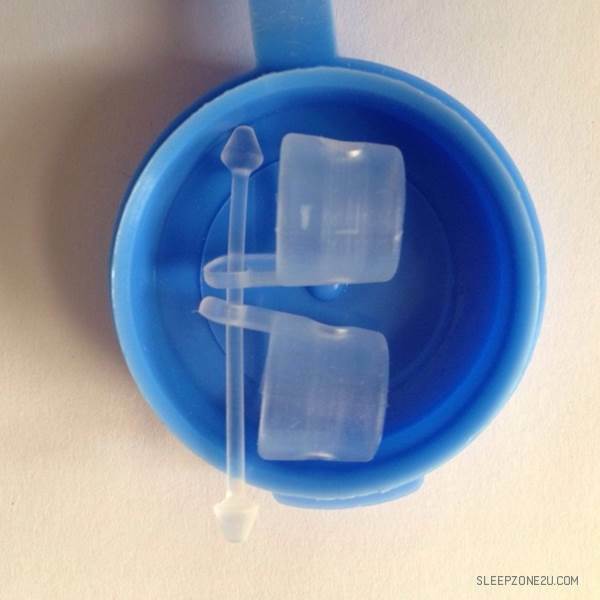 Snooze comes assembled with two nostril expanders and a connector-cord. The connector-cord keeps the expanders from twisting and allows for easier removal. See Fig 1. 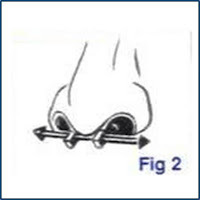 Firmly insert the nostril expanders into each nostril. For additional comfort, we recommend that you rinse the expanders in warm water before use or hold them in your hands a few minutes. 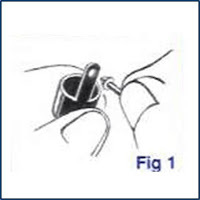 Once the expanders are inserted correctly, you can sleep, lie down, and perform most types of physical activity. The adjustable connection-cord was designed for a perfect fit regardless of distance between nostrils. Are there any side effects to using Snooze? 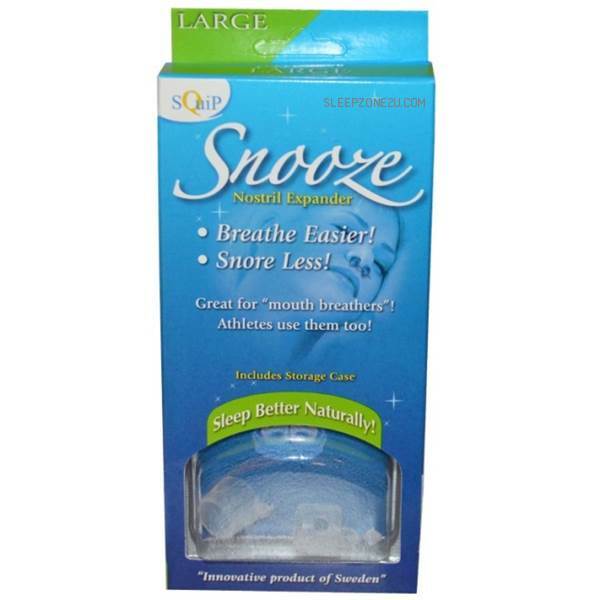 How durable is the Snooze product? With frequent use, the Snooze should last approximately 6 months. Anyone can safely use Snooze, unless advised otherwise by a licensed physician. If continued discomfort occurs, refrain from using Snooze. 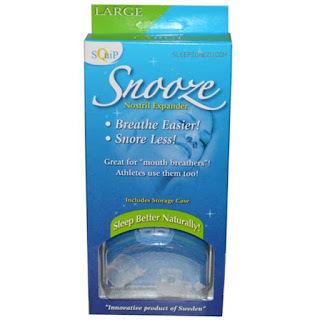 Is the Snooze product safe for contact with the skin? The Snooze product is completely latex-free and completely safe as it was specifically designed for direct contact with the skin. How should I clean Snooze? Snooze should be cleaned with soap and lukewarm water after use. 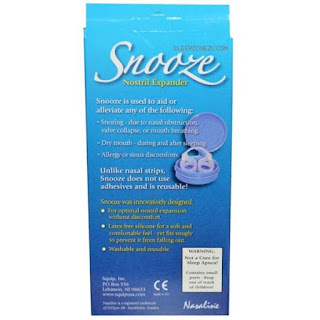 ► The snooze expanders are latex-free. ► Made in the EU.